The question “how to make blog load faster” is on every blogger’s minds. After all, bloggers are concerned mostly with the content they publish. They think that other factors such as site speed may be out of their jurisdiction and therefore do not care for them. However, studies show that you need to make a page on your blog load faster if you want to retain most of your traffic. Check this – if your blog loads longer than four seconds, then you lose 25% of your initial visitors. If you have 1,000 visitors, for instance, only 750 of them stay to check your blog out. The other quarter will have moved on to your competitors. And before you think that losing 25% isn’t bad, think again. Every traffic your blog receives count. And if you’re not careful with your blog’s construction, you might lose more visitors than you think. Fewer visitors means fewer chances of converting, which means fewer customers or clients! If this doesn’t convince you to learn how to make your web pages load faster, then I don’t know what will! 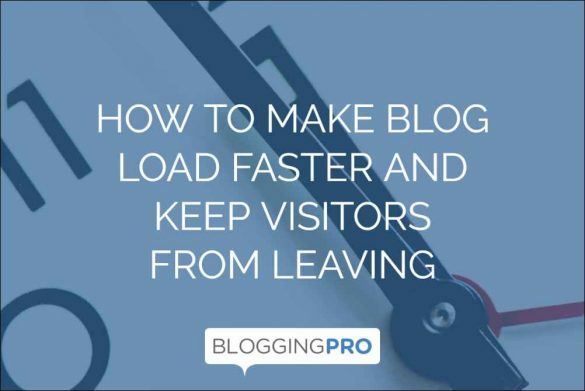 In this post, you will learn simple ways on how to make blog load faster, so you get to retain all your visitors while browsing your other pages. The tips explained below are simple enough for technically-challenged bloggers to follow. You need to determine the problem/s why your visitors are leaving in the first place concerning site speed. A quick look at your Google Analytics will show you pages with high bounce rate (over 70%). It means that those pages are underperforming based on different factors, one of which might be site speed. To better understand how to make blog load faster, you need to analyze the page in question using GTmetrix. It shows how fast and efficient your blog page in light of multiple parameters. The page also shows recommendations to help improve your score so you can provide your readers with a more seamless way of browsing your blog. For CMS users, you can improve your blog speed by using a different theme or design. Granted, you will have to edit the layout on all your pages, but the transition should be worth it. You may have been using a free theme all this time. While it may work to some degree, there’s always a risk that these themes aren’t optimized enough for your blog. Bloated code and useless features straddle some of these themes, which is why you need to shake this up and choose a different theme. Genesis Framework – One of the most lightweight and efficient WordPress themes. Optimized for SEO and easy to customize and edit. Native– The premier blogging theme for Squarespace. Thesis Framework– Another trustworthy WordPress theme that’s easy to edit. There’s a good chance that most of your blog speed issues emanate from your web host assuming that you’re using a CMS and not a website builder. To start off, there are different kinds of web host – the most affordable being shared hosting. If you choose this option, then you are hosting your site on a server alongside other websites. The problem with this hosting option is that you share your bandwidth and resources with other websites. If a site on the same server is generating lots of traffic, most of the resources from that hosting go to that site and not yours. As a result, your site is getting the short end of the stick. It’s best to change your hosting to a dedicated one or higher. It’s also possible that your hosting provider is one at fault here. Not all hosting providers are the same even if they are serving you the same choices for your web host. Some are better equipped to provide you with better uptime and faster server response. To determine if your hosting provider is good enough, enter your site on Bitcatcha. The tool will show the response time of your hosting’s server compared to the recommended ones by the tool. Most of the issues you will see from GTMetrix have to do with your site’s caching abilities. The idea of a caching tool is to make your site load faster to visitors by saving data of your website on their browsers. When they check back to your site again, instead of generating the data from your site’s server to their browser, which takes time, your site will load using the stored data in their browsers. Without referring to a server, the site will load much faster. WP Rocket– Aside from page and browser caching, you can minify and concatenate files, lazy load images, optimize database, and more! WP Super Cache– Easy-to-use caching tool from the developers of WordPress. Enables CDN support. W3 Total Cache– Much more technically choice over WP Super Cache and arguably a more powerful option for it. Images over 100 kb take much more time to load. Blogs that primarily rely on visual content to communicate its message only compounds the problem. To make page load faster, you should optimize images before uploading them to your blog. You can do this by running the images on Optimizilla. You can upload up to 20 images and minimize the file size without compromising its quality. Imagify– Compress most image formats and resize them as you see fit. WP Smush– Image compression tool that is compatible with your favorite media library plugins. Serving content to your audience in the most convenient way possible is your priority. There might be instances that, despite all your effort to make your site load faster, it’s still not enough to keep them around. This is especially true if you are attracting lots of traffic from mobile devices but can’t keep them long enough before the site loads completely. Maybe your blog has issues that are beyond your capacity to understand because it’s too technical. Therefore, you might want to consider implementing AMP (Accelerated Mobile Pages) across all your site pages. Whenever users visit your site from their mobile devices, instead of showing them its usual layout, your site will revert to a streamlined design focused on making your content load faster. This way, you can keep people from leaving your site and generate higher conversions! Did the tips above help you learn how to make your blog load faster? Improving your blog’s loading speed shouldn’t be difficult. 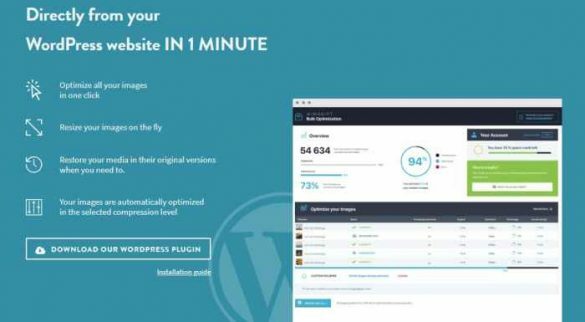 CMS like WordPress make it easier for users to tweak the site at will and install plugins that make the site load faster. If you find yourself running your site on WordPress, then following the advice above will help you keep your visitors from leaving your site so you can display to everyone how good your site is! Hi, Christopher. Great post indeed! You are right about considering page speed as one of the strategies to increase blog traffic, In Fact, research shows that a site conversion decreases by 7% for every additional one second it takes to load, and 47% of web users expects a site to load in just 2 seconds. Most often, bloggers fail to optimise the images on their page which results in slow loading of the page. Thanks, Christopher for these tips, I know it will go a long way to help bloggers that are fortunate to find this page increase their site speed and retain their visitors.